Working can be such a drag! I swear the only thing that seems to make it a little more bearable is when I have cute stickers to decorate the daunting occasion. Somehow looking into my planner and seeing cute little kawaii faces smiling at me in the form of a floppy disc, brings a little more pep into my day! That is why I was so excited about today’s free printable stickers! Nathalie, one of our super fun and talented Squadettes created these kawaii functional work themed stickers. Since she loves all of you so much, she asked us to share them with you today, for FREE! You may remember a few months ago when Nathalie shared these pink cleaning kawaii stickers. Well, she’s back at it again, only this time she’s making work fun again! Aren’t these little kawaii floppy discs so darn cute? I know that floppy discs are kind of a thing of the past these days, but seriously who can pass these up? It’s almost like having a piece of history in your planner, and [almost] makes me wish I had an old school computer to help me reminisce. And those kawaii file folders – I’m in love! Be still my sticker junkie heart! The little hearts above the faces are way too adorbs. I bet anyone who works any kind of office or clerical job has never seen a file folder cuter than these! This girl just has a knack for creating beautiful graphics and we’re so grateful that she shares her talent with us! Our planners are grateful too! We want to give a big shout out to Nathalie for sharing her talents and free printables with us here at Planner Squad! If you loved these as much as I did, be sure to comment below and give Nathalie some Squadette love! We love you Nathalie! Thank you for rocking our planners once again! 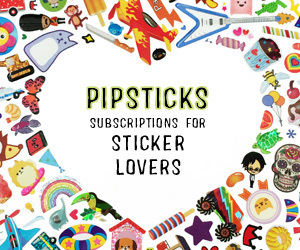 Want to get your hands on these free printable stickers? Click on the image below! Thanks Nathalie these are great I love the design. That camera sticker is super cute!